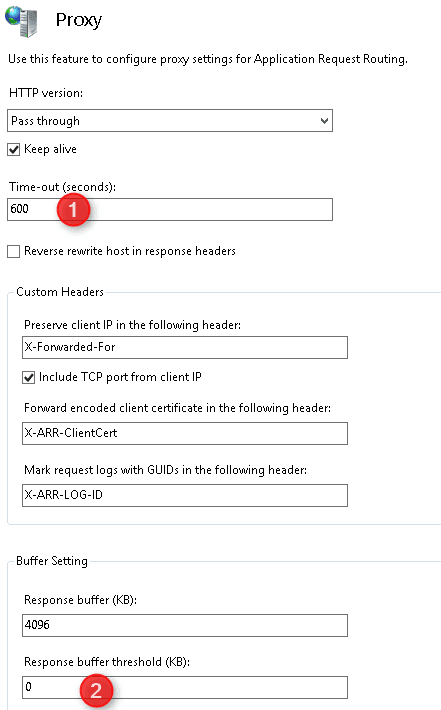 Using ARR as a load balancer for Exchange requires special settings for Outlook Anywhere. 1. 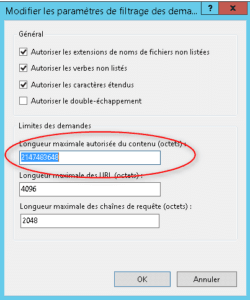 Open the IIS console and click Request Filtering. 3. 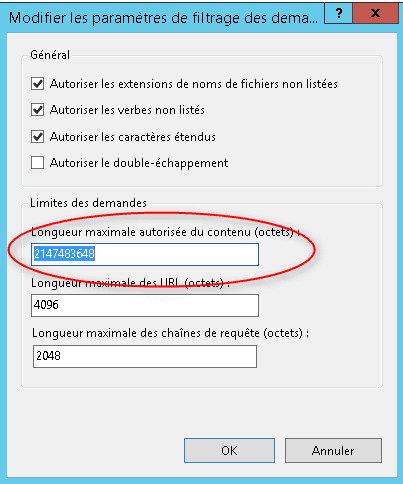 Change the value Maximum allowable length of the content: 2147483648 (2GB) then click OK.
1. Go to the farm configuration page and click on Proxy. 2. 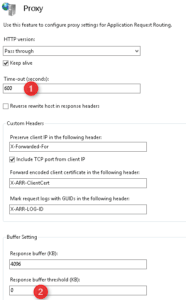 Change the timeout value to 600 1 and the value Response buffer threshold (KB) to 0 2 and validate by clicking on Apply in the Actions menu.